Can you solve the murder mustery? 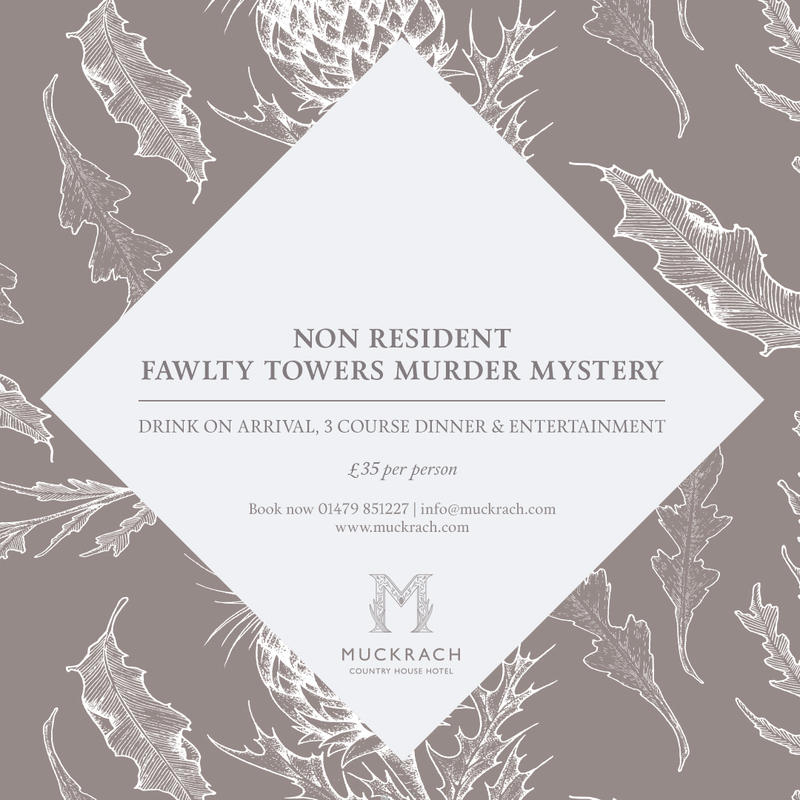 A Fawlty Towers themed Murder Mystery Evening is coming to Muckrach on the 29th December 2018. The perfect Twixmas Evening to spend with family and friends. The event starts at 7:00pm. Tickets are priced at £35 per person for non guests. Ticket prices include a drink on arrival, 3 course dinner and entertainment.